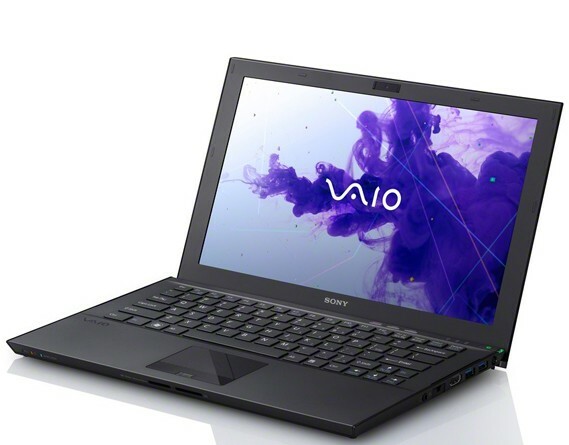 I had to install Debian Wheezy on a brand new Sony Vaio Z laptop with the new Ivy Bridge architecture (SVZ1311C5E). I'll talk about this here, because it's always nice to know that new hardware works quite fine (or not) under Debian. The laptop is delivered with Window 7, which I decided to remove entirely anyway, and replace with Debian. I've installed it with Linux 3.2 and then ran Linux 3.4, 3.5 and 3.6-rc1. Don't ask me why, nor an Ubuntu or Debian USB installation booted, blocked at SYSLINUX at best, or at a black screen. This does not work. I had to use PXE to install Debian. The only thing that can be surprising, is that the 128 GB SSD storage is actually made of 2 64 GB Samsung SSD aggregated in a RAID 0 using Intel Rapid Storage Technology, previously known as Intel Matrix. This is supported by Linux using the dm-raid module. So this is a fake RAID, and you anyway can see the both drives as sda and sdb under Linux. The Intel HD Graphics 4000 works fine. I'm alsmo using the HDMI output, which works fine. There's some GPU hanging (as seen on screen and in kernel logs) in Linux up to 3.4, but with versions 3.5 and above, I didn't see any problem so far. The Intel HDA sound card works pretty well, both for playing and recording. The main problem is that I hear a constant noise on the speakers, but tweaking the ALSA mixers ends it at some point. There's still probably a bug, not yet resolved in Linux 3.6-rc1. The keyboard works fine, and the back-light too, via the sony-laptop kernel module. Wonderful. It does not work, and is not supported according to my research. Not that I care about, but don't count on it. It's an AuthenTec AES1660. The WiFi module (based on iwlwifi) works fine. The only problem with NetworkManager is that the sony-laptop offers a second rfkill switch and NM does not know how to handle it correctly. A bug is opened about this and I hope to be able to write a patch or something at some point. Also, there seems to be some quality issue with the iwlwifi driver and 802.11n at this point. I'm losing connection quite often when the signal drops below 40 %. Loading the module with 11n_disable=1 helps a lot. The gigabit Realtek Ethernet controller works perfectly.